Are you trying to incorporate the full power of Instagram into your marketing campaign, but aren’t sure how to create posts that stand out? Creating high quality posts should be a unique and creative process, but as you’ll learn in this article there is a method to the madness. Try to implement as much as you can from the following advice and your Instagram posts will attract more eyeballs than you’ve ever hoped. Before you do anything else you must get into the heads of the target audience so you can understand what makes them tick. What problems do they have? What are their interests? What do they find boring? Having the answers to all of these questions improves how well your posts will be matched to the target audience interests. Look at the top related posts on Instagram and have a look at the comments. The vibe and general opinions in the comments section will allow you to get into the minds of the target audience. You can even use the comments section to interact with the target audience to get further insight. Once you understand what your audience wants and doesn’t want you‘ll essentially have a list of what to include and avoid. This makes each post more targeted, which improves conversions and overall engagement. 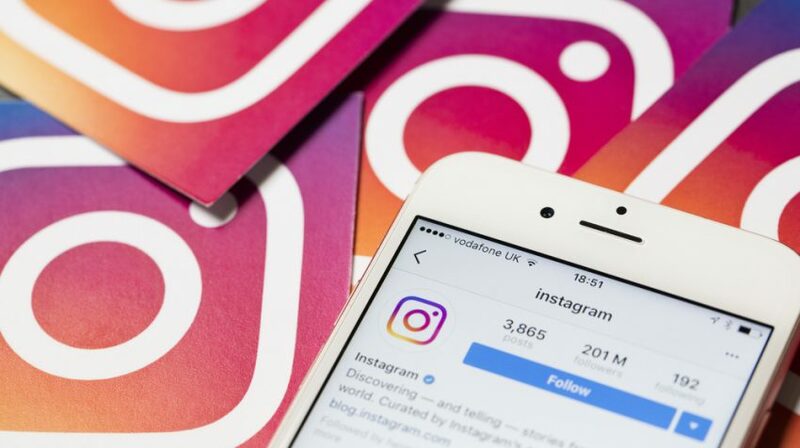 As a newcomer to Instagram understanding the audience might prove to be difficult, but as your marketing campaign develops and you gain more experience you’ll develop a deeper connection. Typically the call to action is the last thing that you enter at the end of a post, so why are we talking about this early in the article? Becuase it is one of the first things you must think about. The call to action is related to the point of the post in the first place. Do you want the audience to sign up for an e-mail newsletter subscription, or take advantage of a coupon? Figuring out the point of the post allows you to come up with the content that will strive for the intended outcome. There are a number of different ways you can implement call to actions. Mix it up to avoid being repetitive. Instagram followers will begin not paying attention to the repetitive call to actions. After all, if it didn’t work on audience the first few times, then why would it the 6th or 7th time. For the audience to engage with your posts there must be a call to action to clearly indicate what it is that you want them to do. Sure they can share your posts, but there are profitable ways that they can actually engage. Spell it out for them so that the call to action leaves nothing to the imagination. Whatever industry you’re working in you could be the source of news for the target audience. For example, if you’re selling basketball shoes then you could keep the ballers updated on the latest basketball player to sign a deal with Nike, Adidas or any of the other big brands. Being a source of news mean they’ll have more reason to follow you, and it provides you with plenty of ideas for content. Releasing up to date news shows that you are an authority in the industry that’s keep tracking of what’s happening in the marketplace. Potential customers are more likely to buy from you as having the latest thing is almost as important as what the quality of something is for a lot of buyers. The first sentence of each post should aim to immediately captivate the audience. Don’t go for an approach of building up the content to provide the highlight towards the end – with that approach most of the audience might not read to the end. By capturing the attention of the audience you’ll get them to read the entire post and make it all the way to the call to action. The process of improving your opening can be hard to master, perhaps hire a professional copywriter with years of experience. The difference between a good post and a bad one can pay for the services of the copywriter, and much more. Therefore, it is certainly worth the price it takes to hire a copywriter. Hiring such an individual also reduces your workload and responsibilities. This allows you to get back to bigger picture stuff for your business. To find out the keywords that are most relevant to your niche make use of a keyword research tool. Such tools allow you to figure out what keywords receive the most searches in your niche. These are the words the target audience identifies the most with. So take advantage of them and include them as soon as you can in your content. To find out what types of posts are more engaging carry out some A/B split testing. This involves releasing two similar posts, but changing one or two variables to see which ones performs better. Consequently, you’ll know which version of the variable will work better for future posts. This idea primarily comes from PPC marketing, but can also be incorporated into Instagram post creation. Obviously, you cannot release exactly the same posts so you’ll need to be creative. Perhaps have a specific format, or template that you use where the content differs. Then you make one change to the format in order to test it. This might be to change the where the call to action is located, or what the length of the overall post will be. Testing can be a time consuming task and somewhat drain resources. However, it can improve the engagement factor of future posts and thus improve the bottom line. In the end it’s worth the effort when done correctly. Hashtags can be added to each post in order to link your post to a specific keyword or keywords. Adding them is certainly worth the time as it can increase engagement by 12.6%. It aids the process of content optimization and discovery as it allows your content to be discovered. Individuals that might have never heard of you before can find you via hashtags and potentially become a new loyal follower. One common mistake you must avoid is to make use of too many hashtags on a single post. It detracts from the visual aesthetics of a post, looks spammy and your loyal followers will be put off from your content. Try to limit the use of hashtags to 1-3, and even create posts that have 0 hashtags. Mixing in these hashtag-free posts shows to your loyal followers that you’re willing to provide quality over simply focusing on making money. 1. Branded hashtags: this type of hashtag will be unique to your specific business as the name suggests. This doesn’t have to be related to the name of your brand either. It can be related to the name of a product, name of a campaign or anything else that’s related to your brand. Branded hashtags might not land you as many new followers, but it’s a great way of allowing your current followers to keep up with your Instagram activity. 2. Community hashtags: this type of hashtag allows like-minded community members to find out about things that are of interest to them. For example, a hashtag related to basketball shoes will draw in those enthusiastic about the basketball shoe marketplace. When integrating hashtags into your posts you’ll need to get creative. Perhaps take a peek at similar posts on Instagram to see what hashtags they used. Also take a look at the most popular hashtags on Instagram. Maybe some of them are related to your post. Make sure not to include unrelated hashtags. This will confuse your target audience and detract from the quality of your post. Narrow down the number of hashtags that you use to better target your audience. Each hashtag has trending posts, where 9 different posts are at the top of the results page. Getting your post on this list means that engagement for a new post can skyrocket. There is an algorithm that calculates the posts which will be selected. The factors include the number of likes and comments your post has received. Speed is another big factor of getting your post in the trending section. If you manage to get a lot of engagement in the first 24 hours then that significantly increases your chances of being in the trending section. The attention span of the average Instagram user is very short. Therefore, your posts should be short so that they don’t skip the end of the message before they finish reading it. Typically the call to action will be at the end of the message so it’s important that the audience makes it to the end. Aiming for 125 characters is ideal, because that is the number of characters a user will be able to see alongside a picture without having to click the “More” button to see the rest of the message. By making use of great pictures the amount of words needed will naturally be reduced. Having said all of that a longer posts might be required at times. For instance, if there is vital information that has to be shared. Removing essential information about a new product line doesn’t make sense. For maximum engagement the picture should be given more focus that the text. After all, this is Instagram and Twitter. So select your pictures carefully and the ability to create shorter posts will follow naturally. Composing an Instagram post might not be the same as writing an essay or resume, but that doesn’t mean you shouldn’t aim to perfect it before pressing the submit button. Create a first draft, and then edit until it sends the message that you feel makes the biggest impact. As you’re rewriting the first draft look for words that add to the clutter yet don’t add any value. Remember that Instagram posts should be as short as possible, so every word counts. Spending just a few short minutes on the editing process can significantly improve the engagement you’ll receive from followers. It’s a process worth doing that should be a habit for each post. Worried that your ability to spot mistakes and make professional edits is not in your skill set? If you don’t want to hire a professional to write the Instagram posts then at the very least you could hire an editor. They can change the wording to improve readability and get the desired effect. Perhaps humour isn’t your strong point, yet you want humour to be a big part of your Instagram messages. Then hire an editor that has a knack for writing funny content and could incorporate humour into posts that would otherwise be bland. Consider asking a question in some of the posts that you create. An open-ended question encourages the audience to answer it by leaving a comment. Remember comments are great for posts as it is one of the ranking factors to be entered into the trending posts for a particular hashtag. You can ask all manner of questions, but the more interesting they are the better the user engagement will be. Perhaps ask a question on a controversial topic. This could get some hot debates going in the comments section, which improves the sense of community of your Instagram following. Also ask questions related to the picture. Not bland ones such as if they like it or not. Ones that challenge the user to give a particular thought on the picture. After asking a question don’t stop there. Nudge the readers in the direction of the comments section to give their answers. This could be the call to action for that particular type of post. In previous years the use of emojis might have been viewed as unprofessional to include in an Instagram post or any content related to a brand. However, the use of emojis now is universally accepted, even for the top brands in the world. We use emojis everywhere, so why not in an Instagram post? It adds a level of personality that other brands afraid to use emojis will not have. There are hundreds of emojis that you can use, not just a bunch of the most popular ones. The characters used on Instagram posts must be limited, which means emojis can be a great tool to get the emotion of a post across without having to use as many characters. Experiment with emojis to see how your audience reacts. It will not be suitable for every type of target audience, but most will appreciate the creativity. Emojis contribute towards the informal nature of Instagram. Serious posts for the most part will not receive the type of engagement that is going to make a big difference to your brand. Leave the serious content for your corporate website. Are you stuck for content? Make use of popular quotes for inspiration. They can be the centrepiece of your post and it might attract more eyeballs. You do not have to stick to quotes that are by famous people related to your industry. As long as it’s relevant to the post the quote could be by literally any type of person. Inspirational quotes are something that’s highly popular on Instagram. However, if you could add variety that will only be to your advantage. Not sure where to find suitable quotes? There are many websites that lists hundreds and thousands of quotes. Instagram posts should be schedule to be released when they are going to receive the most engagement. The specific time of day or week that this should be done depends on several factors. This includes your target audience, the time zone and how often you plan to release posts. You might need to test different scheduling times in order to figure out when the best time to release posts actually is. However, to get started take a peek at what the competition is doing. However, posting at exactly the same time as the competition might be a bad strategy as it means you’ll need to compete. If you’re an upcoming brand then competing with an established brand might not be a smart move. Instagram posts can be a powerful way of attracting new potential customers and raising your brand awareness when done correctly. However, if you don’t have a clear methodology in place for how posts are created, then you’re leaving things up to chance. Implement as many tips from this article as you can in your Instagram post writing strategy. Given time you’ll attract a buzz surrounding your Instagram activity that will be hard to ignore. As you become more experienced writing Instagram posts it will become second nature. Susan Saurel is an experienced blogger who help beginner bloggers and marketers with a big pleasure. Currently, she works on her own writing company XpertWriters and writes for the number of magazines. You can follow Susan on Twitter or LinkedIn.